Complete. Secure. Cloud ready. Mobile ready. MHO integrates all of the critical areas of your healthcare organization on one information system, allowing you to operate cost effectively across the enterprise while assuring quality care to your patients. With its scalable Internet architecture, MHO can be used by one or more hospitals or providers in your healthcare territory or private healthcare network. One installation of MHO within your network infrastructure on your own servers can run several healthcare facilities. You can even install MHO in a data center with your dedicated server stack, or, run it on Azure in a Private Cloud setup. Patients can view their medical history via the BluPlus Patient Portal & Personal Health Record (PHR) platform, rich in features and adaptable to the most stringent privacy and security regulations. Patient’s can also give consent to other healthcare providers to view their medical history. No more printing medical records for your patients. With MHO’s Business Intelligence tools you have an instant view of your operations and key performance indicators. You can identify problems and take preventative and corrective action to resolve them, or improve the performance of your operations such as waiting times and outcomes. Your organization is unique and should be supported by technology that adapts to your procedures and methods. MHO is rich with configuration and customization options to satisfy your operational needs. Since 2003, MHO has been used by a diverse range of healthcare organizations, from small hospitals to government healthcare trusts. 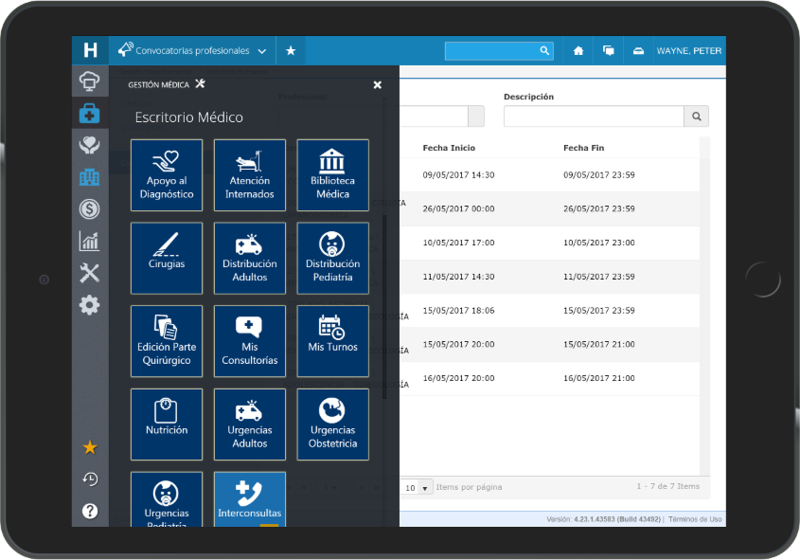 MHO has evolved into a reliable, feature rich platform, capable of responding to the needs of your healthcare enterprise. Every patient deserves respect of their privacy. MHO comes with security features designed to protect the privacy of patients by limiting access to medical information to only those professionals in your organization that have been given consent by the patient. MHO also takes advantage of the security features of leading database vendors, such as, Microsoft and Oracle. MHO is built with a scalable architecture and can be installed on dedicated hardware or on Cloud platforms such as Azure, so that you can rest assured that it will respond to your healthcare enterprise’s growing needs and peak demands. In the same way you need to provide service around the clock, MHO’s support team is available to respond to your questions 24 by 7. From Outpatient, ADT, EMR, ER, OR, HR, accounting, maintenance, business intelligence, epidemiological surveillance and more, MHO has the modules to help you run your healthcare organization – all on one enterprise solution.